Amazon is world`s largest online store and you can purchase anything from here. Once you choose product and checkout you will see options of shipping. You enter the address where you want to receive the product always recheck the address for typing errors. How to Ship From Amazon.com ? Click on "Sign in Using our Secure Server". Enter the address where you want to receive the product. Enter Name, Street address, state, city , pin code. Choose to ship to one address or "Ship to Multiple Addresses". Enter address click on " Continue". Choose between "gift wrap" or "no gift wrap". 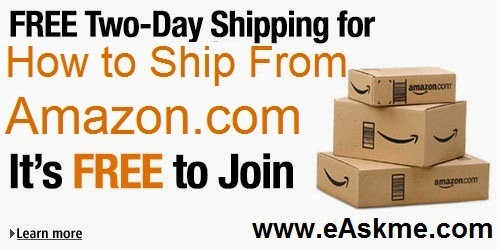 Select standard one day or two day shipping method. If items are eligible for free shipping then they will be labeled "Eligible for Super Saver Shipping". Choose Payment options gift card, check, electronic transfer. Click on "Place Your Order".